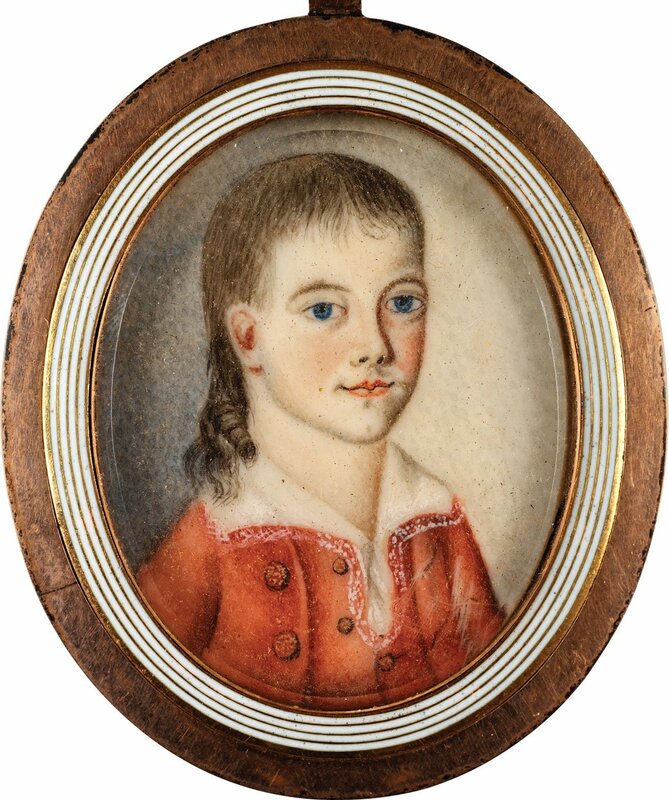 So not only does the research confirm IDs for the portraits, but we can't ignore young JGW's contributions to the strong heritage of mullets here in America. Bravo! Yes, what we call a mullet was the fashionable style for boys in the 1770s. The above miniature is the unmistakable work of Boston's Joseph Dunkerley. For more about Joseph Dunkerley, see this article at the Journal of the American Revolution. He was a deserter from the British army who served under Massachusetts artillery colonel Thomas Crafts during the war and rented a house from Paul Revere in the 1780s.